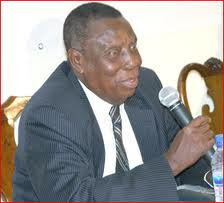 Professor Justice Paaku Kludze, a retired Supreme Court judge has lashed out at both the ruling National Democratic Congress (NDC) and the New Patriotic Party (NPP) for inciting their supporters to throng the law courts to disturb and threaten the judiciary whenever any of their leading members are put on trial. He said undue interference in the work of the judiciary especially from the executive arm of government is assuming an alarming proportion in the current democratic dispensation adding “there is a creeping culture usually from the executive arm of government putting undue pressure on the judiciary to pander to their wishes”. The law professor said anytime a judge declines to sit on a particular case does not mean that the judge in question is bias but rather it is done to ensure that the sanctity of judicial administration is maintained. He said the threat on the judiciary is undermining the country’s democracy and also scares potential investors. Professor Ken Agyeman Attafuah, a renowned criminologist who spoke on the topic “Political tolerance, political inclusivity and political accommodation as essential elements of multi-party democracy” bemoaned the vindictive nature of the country’s political discourse saying “the rights of political opponents should not change hands simply because political power has changed hands. Treating the topic “Agreeing to disagree in the interest of Ghana: A core duty of politicians, media and civil society”, Mrs. Lydia Apori Nkansah a senior lecturer at GIMPA said the bickering and animosity that has characterized the country’s democratic dispensation resulting in tension and negative polarization.